In 2014, we spent five months on a road trip in Australia. It was one of the best trips we’ve ever taken. Though this post has been updated, read on for our original road trip story, and to discover our top Australian road trip tips. Though so far we’ve only traversed trough Western Australia, we have already learned so much about road trip life during these past three weeks. Whether embarking on a huge cross country Australian road trip, exploring a route like Sydney to Brisbane, or simply driving to one of the countless exciting attractions throughout Australia, a lot of our advice may ring true. Here are a few pearls of wisdom we’ve gleaned from our time on the road. Legit Australian road trip advice from two kids who’ve been there. The best road trips are a mix of careful planning and spontaneity. You should map out a general route ahead of time. If you’re camping, like we did, have a list handy of any campsites you’re considering, especially if you’re free-camping or aren’t bothering to reserve sites in advance. In the outback, cell service is virtually nonexistant, too, so it helps to have this information already written down. Heading out from your home in Australia? Make plans for keeping your house secure while you’re gone. It’s great to have a trusted neighbour keep an eye on things. If you’re worried about accidentally leaving your garage door open, you could invest in a smart opener that can be remotely closed with the touch of an app! Where we are from, in the eastern US, it seems you’re never too far from the next gas station. The worry of running out of fuel may never cross your mind on a highway with exits every 10 or 20 miles. In the outback and in Western Australia, running out of petrol is a real possibility. Luckily, on these vast open roads, there seem to be roadhouses just at the perfect moment when you’re tank is nearing empty. Whenever you see these precious outback oases on your road trip through Australia, you should absolutely take the opportunity to fill ‘er up. (You should also always carry extra fuel with you, particularly if doing any driving off the main highways). With hundreds of kilometers between each settlement, this is also one of your only chances to grab a hot bite or a cold drink. 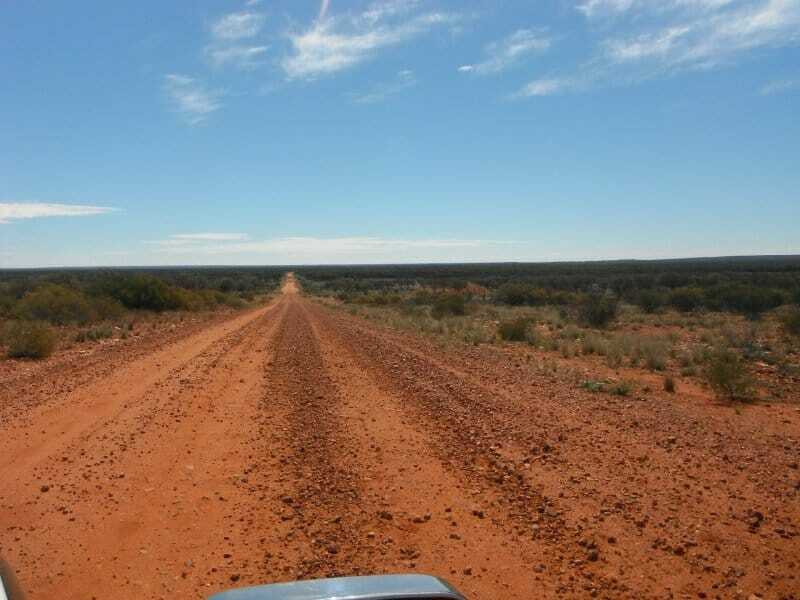 As I write this, we are rocketing towards Pardoo roadhouse- between Port Hedland and Broome, and savoring the promise of lunch! Drive carefully on these less populated highways. Kangaroos aren’t your only worry, as much of northern Western Australia, South Australia, and the Northern Territory is station land. This means cattle, goats, and sheep are frequently sauntering across your path. Make sure you’re driving at a reasonably safe speed, particularly around dusk. And be sure to watch out for emus and echidnas too, as we spotted tons of these unusual creatures around. 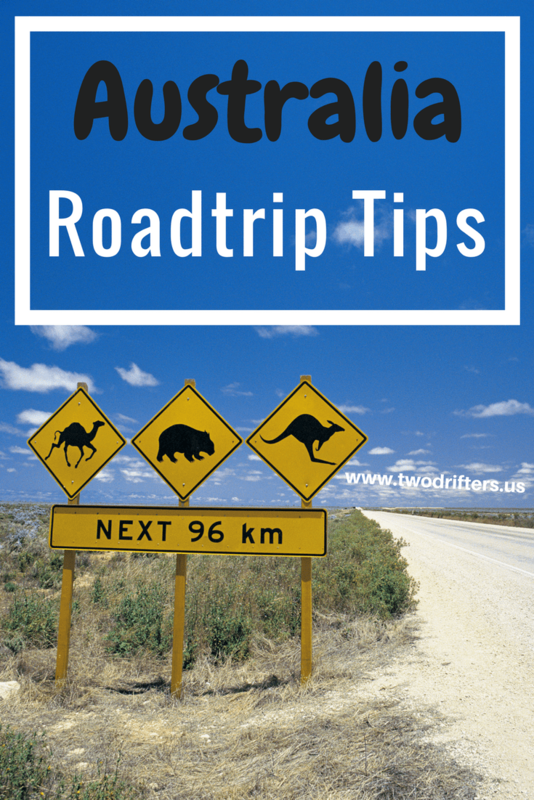 The varied wildlife is one of the best parts of road tripping in Australia, but also something to keep an eye out for! If possible, take a 4-wheel drive vehicle. 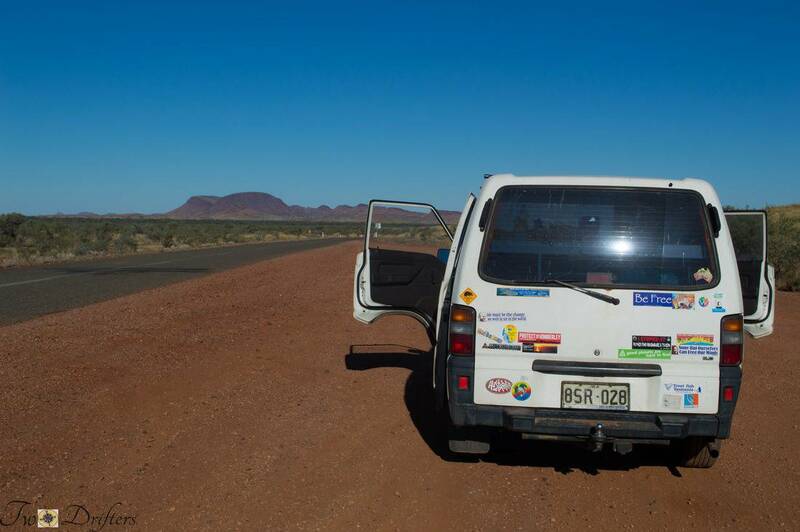 As much as we love our campervan “Moon River,” we never realized the importance of 4WD when traveling in Australia, particularly in WA and in the Outback. It’s much more difficult to visit many regions of national parks without a 4WD vehicle, and sadly, our lowly 2WD forced us to miss out on most of Karijini National Park. That said, it may be harder for travelers to visit with 4WD as campervans and other commonly hired or purchased vehicles are generally more affordable. Most of the 4WD vehicles we saw were attached to large, fancy caravans, and clearly owned by locals. But having 4WD might be one of the most importance pieces of Australian road trip advice. Get one, if you can! One thing we noticed about WA in winter is how vast the temperature changes can be. Once we left the Perth region, temps quickly warmed up, and by the time we were up in Exmouth, we were very, very warm– wearing shorts and flip flops and going swimming often. Even so, mornings could be chilly and this morning in Karijini National Park was downright freezing. I was back to my winter hat and boots! But now, hours later in the van, we’ve both shed our layers into short sleeves and shorts as the sun really beats down on you while driving. Dress in easy to remove layers and definitely dress for comfort as these distances are looong and you’ll want to feel good. Here’s a good list on what to wear in Australia. With towns being so far apart, stock up on food, water, and other supplies, including car maintenance items. The best way to go on a road trip is to be completely self sufficient. Knowing you’re well stocked makes the trip a lot more worry free as well. For water, we carry a large tank/jug in the back of the van. This serves as drinking water, water for cooking and dish washing, showering, and whatever else we might need it for. Keep your water supplies stocked by filling up at free or pay water tanks whenever possible. We found many water fill spots listed in our handy book: The Guide to Free-Camping in the North of WA (which, by the way, is an indispensable item when on a road trip here). You can always ask at various roadhouses or other shops. A tourist centre once let us fill up for a very small fee, which was kind. So far, Nathan has been the only driver on this Aussie road trip. Lamely, I don’t know how to drive a standard. Sharing the driving responsibilities will take a lot of pressure off him and give him a chance to relax, so I’m going to try and learn when we’re settled in one place for a few weeks. His sagely advice as a driver (which I suppose could apply also to a passenger) is to remain alert on the roads. Because we are in an unfamiliar country, some road signs and common occurrences are different. Nathan read about some road rules before our departure as well. Being alert is vital on an Australia road trip. The lengthy distances and spaces of repetitive scenery can easily cause one to become drowsy, as can the baking afternoon sun (a constant roadside companion). One other thing to note– not sure if these exist in the rest of Australia but here in northern WA are long connected trucks called road trains. These massive convoys are the king of the road, so give them plenty of space and use extra caution when overtaking a road train. You should take precautions as you would in any advanced country, but you’ll find Australians to be a friendly, welcoming people and the country to be secure and highly travel-able. 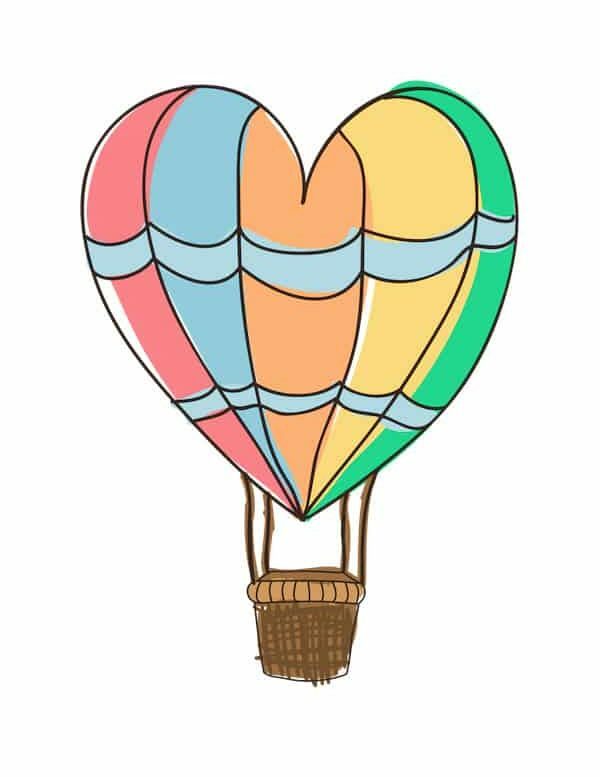 We definitely recommend this as a wonderful travel destination for couples, backpackers, families, and more. Australia is a very expensive destination. Yet, the only expense I don’t think I was properly prepared for was the cost of fueling our campervan. The prices seem high and the tank seems to empty brutally fast. Australia is a huge country. It takes more fuel to get you where you need to go then the map leads you to believe! So be prepared and budget a fair amount of your Australian road trip money for fueling up. By that same token, prepare yourself to endure those long distances. Load your iPods up with hundreds of tunes, or try audiobooks and podcasts to liven up the endless roadways. We’ve taken to listening to comedians, as it makes us laugh and helps the time pass quickly! Hopefully these few tips will help the newbie road tripper, and better equip anyone for a great journey by car/van/campervan. 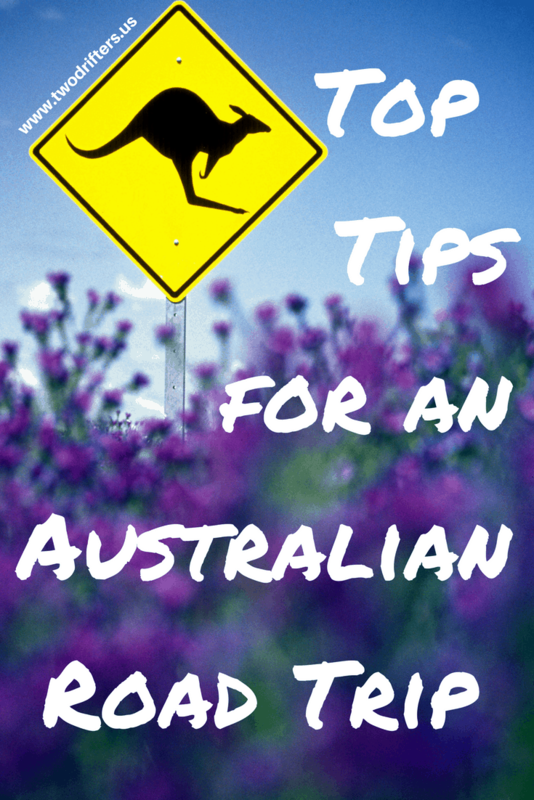 Got any questions about travel to Australia? Ask us in the comments below and we’ll do our best to give you a helpful answer! 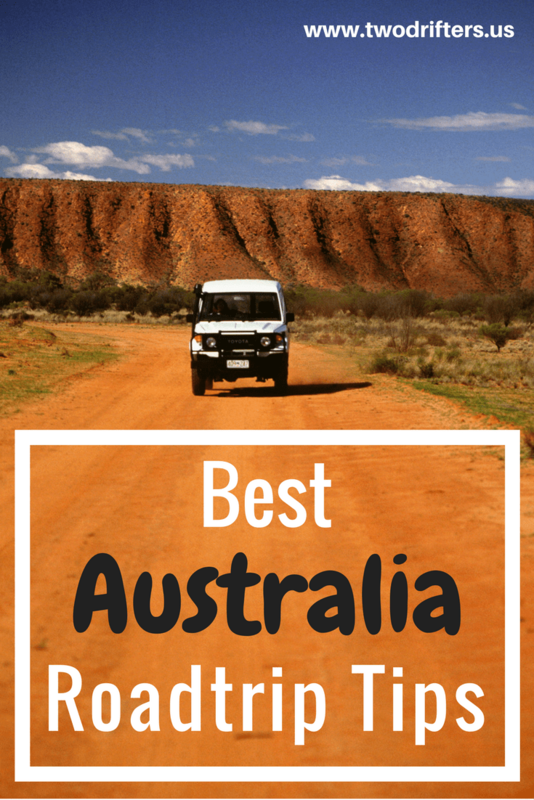 Planning your Australian road trip? Pin this for later!